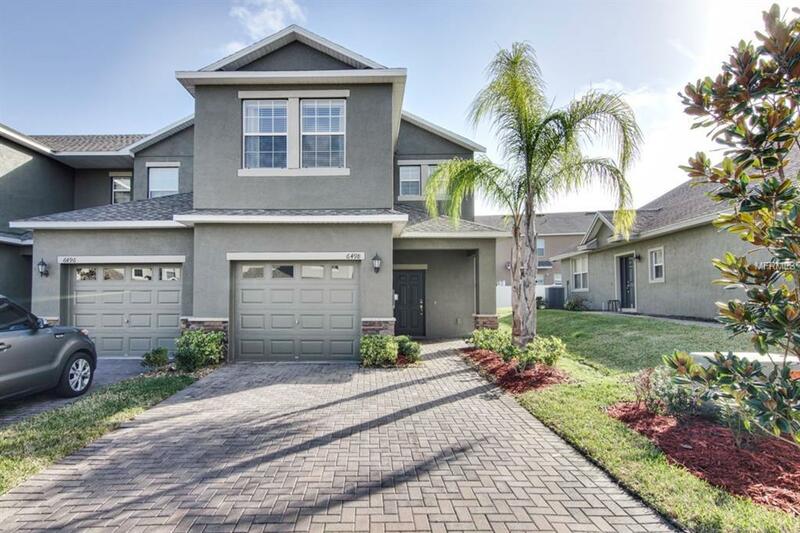 BEAUTIFUL 3 Bedroom, 2.5 Bathroom Townhouse located in the highly sought after neighborhood of Chelsea Oaks in South Lakeland!! Enjoy living in an exclusive gated community with amenities that include a swimming pool & fitness center!! **CORNER UNIT** The spacious layout features a great room with an open kitchen and dining area. The kitchen is gorgeous and boasts granite countertops, solid wood cabinetry, a breakfast bar, pantry and custom fixtures!! In addition to access onto the screened patio, the first floor also features ceramic tile throughout with carpeting on the second floor. The spacious master suite includes a full ensuite bathroom. The master bathroom features a dual sink vanity, walk-in shower and a walk-in closet! A second full bathroom is located upstairs with a half bathroom conveniently located on the first floor. This home is a must see for anyone looking for a great townhouse without the hassle maintenance! Perfect for a primary home or Vacation home/income producing investment. This property is move in ready and it will not last long on the market. Schedule your showing today before it is too late! Amenities Additional Fees Please Verify Amenities Fees & Restrictions With Association. Pet Restrictions Please Verify Any Pet Restrictions With Association.